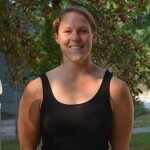 </strong>Sarah started working for Growing Places part time as a Teacher’s Aide and after receiving her Masters in Education from the University of New Hampshire in December 2011, she joined our team as a full time teacher. In 2014 Growing Places began running TimberNook programs and Sarah jumped at the opportunity to become a TimberNook provider for Growing Places. She now continues her role as a Preschool teacher while sprinkling in some TimberNook programs throughout the school year and working in the woods during the summer months.Sarah currently resides in Newmarket, NH with her husband and step-son. She enjoys spending her free time by relaxing outside, playing with her kitten and practicing yoga.<strong><a href=”http://growingplacesnh.org/wp-content/uploads/2011/11/Lindsay-Michel.jpg” data-mce-href=”http://growingplacesnh.org/wp-content/uploads/2011/11/Lindsay-Michel.jpg”><img width=”150″ height=”150″ class=”alignleft size-full wp-image-752″ alt=”Lindsay Michel” src=”http://growingplacesnh.org/wp-content/uploads/2011/11/Lindsay-Michel.jpg” data-mce-src=”http://growingplacesnh.org/wp-content/uploads/2011/11/Lindsay-Michel.jpg” /></a>Lindsey Michel, Preschool One Teacher</strong>Lindsay began working for Growing Places in 2005.Lindsay was the preschool teacher up until last year when she accepted the Assistant School Age Program Director role. Before joining the Growing Places team she attended Plymouth State University, earning her bachelor’s degree in Early Childhood Education with a minor in Child Welfare and Family Studies.Lindsay embraces her work as a teacher and enjoys watching children explore and grow each day. The excitement in their eyes when they learn something new is truly amazing. 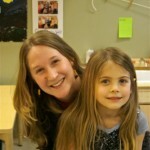 She has formed many amazing relationships with children, families and coworkers and enjoys seeing many alumni families. Lindsay’s son Colin joined the Growing Places family at just 10 weeks old. He will be in the Pre-K classroom this fall. Lindsay enjoys spending time with her family and friends, taking trips to her camp at Milton Three ponds, and just recently bought her first home in Gonic.<strong>Ashley Studer, </strong><a href=”http://growingplacesnh.org/wp-content/uploads/2011/11/for-web.jpg” data-mce-href=”http://growingplacesnh.org/wp-content/uploads/2011/11/for-web.jpg”><img width=”150″ height=”150″ class=”alignleft wp-image-1366 size-thumbnail” alt=”for web” src=”http://growingplacesnh.org/wp-content/uploads/2011/11/for-web-150×150.jpg” data-mce-src=”http://growingplacesnh.org/wp-content/uploads/2011/11/for-web-150×150.jpg” /></a><strong>Preschool Two Teacher and TimberNook Provider</strong>Ashley grew up in Portsmouth, NH, and went to UNH to pursue a Master’s in Elementary Education. Loving the seacoast area, she joined the Growing Places team just after college and has worked at many of our sites and programs. She found her love of Early Childhood Education and has now been teaching in the Preschool Two room for the past three years. In the summer months she sets off to the woods to provide TimberNook for many campers. It is one of her favorite parts of the year as she gets to put her love of the outdoors, children, and her belief in the importance of play, all together. You can find Ashley creating all sorts of activities and adventures for the children in her class and she brings a sense of silliness and exploration! Outside of the classroom, Ashley likes to stay active with her puppy and through coaching and competing in CrossFit.<a href=”http://growingplacesnh.org/wp-content/uploads/2012/04/teach-Becca-Kelly.jpg” data-mce-href=”http://growingplacesnh.org/wp-content/uploads/2012/04/teach-Becca-Kelly.jpg”><img width=”150″ height=”150″ class=”alignleft size-full wp-image-191″ alt=”teach-Becca-Kelly” src=”http://growingplacesnh.org/wp-content/uploads/2012/04/teach-Becca-Kelly.jpg” data-mce-src=”http://growingplacesnh.org/wp-content/uploads/2012/04/teach-Becca-Kelly.jpg” /></a><strong>Becca Kelly, PreKindergarten and Kindergarten Teacher at Woodside</strong>Becca Kelly has taught at Growing Places since 2004. She has her BS in elementary education from Plymouth State College, and has over 20 years of experience in early childhood. Becca lives in Dover with her husband Nick, daughter Allison and their dog Huey. She loves cooking, gardening and spending time with family and friends.Becca loves working with the high caliber of teachers at Growing Places, and also loves the opportunity she has had to really get to know families at the center over the years. Becca enjoys facilitating outdoor play and sensory experiences for the children, and offers very process oriented art activities in her classroom. She can often be seen snuggling with a child sharing a story book. She loves the rate at which children grow in their young years. She loves watching them explore the world around them. Hillary began her career at Growing Places as an intern in 1998 and took on a professional role that fall, continuing as preschool teacher and then infant teacher until 2001. After time off to be with her growing family, Hillary was hired to be a program director at Forest Park (and subsequently, Woodside) in 2002. She was instrumental in developing the beautiful center at Woodside on the UNH campus. Hillary graduated from the University of Maine at Farmington with a Bachelor’s degree in early childhood education. Hillary is proud mom of Cody and Saige who attended Growing Places. Hillary’s husband Todd teaches middle school math. Both kids are active in sports and school. The entire family enjoys time together, hiking, going to the beach, playing with dogs, and they are avid Red Sox, Celtics and Patriots fans. Sarah started working for Growing Places part time as a Teacher’s Aide and after receiving her Masters in Education from the University of New Hampshire in December 2011, she joined our team as a full time teacher. In 2014 Growing Places began running TimberNook programs and Sarah jumped at the opportunity to become a TimberNook provider for Growing Places. She now continues her role as a Preschool teacher while sprinkling in some TimberNook programs throughout the school year and working in the woods during the summer months. 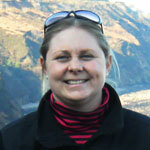 Sarah currently resides in Newmarket, NH with her husband and step-son. She enjoys spending her free time by relaxing outside, playing with her kitten and practicing yoga. Lindsay began working for Growing Places in 2005.Lindsay was the preschool teacher up until last year when she accepted the Assistant School Age Program Director role. Before joining the Growing Places team she attended Plymouth State University, earning her bachelor’s degree in Early Childhood Education with a minor in Child Welfare and Family Studies. 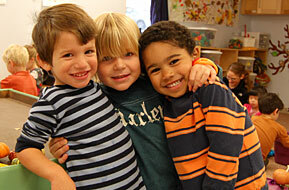 Lindsay embraces her work as a teacher and enjoys watching children explore and grow each day. The excitement in their eyes when they learn something new is truly amazing. 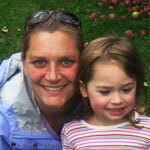 She has formed many amazing relationships with children, families and coworkers and enjoys seeing many alumni families. Lindsay’s son Colin joined the Growing Places family at just 10 weeks old. He will be in the Pre-K classroom this fall. Lindsay enjoys spending time with her family and friends, taking trips to her camp at Milton Three ponds, and just recently bought her first home in Gonic. Ashley has experience at many of our sites and programs, but after finding her love of Early Education, Ashley has been teaching in our Preschool Two room for the past few years. She attended the University of New Hampshire, where she received her Master’s in Elementary Education and joined the Growing Places team shortly after college. In the summer months, she sets off to the woods to provide TimberNook programming for our campers outside at Moharimet Elementary School. TimberNook is one of Ashley’s favorite parts of the year as she gets to combine her love of children, the outdoors, and her belief in the importance of play, all together. You can find Ashley creating all sorts of activities and adventures for the children in her class as she brings a sense of silliness and exploration! Outside of GP, Ashley stays just as busy coaching Crossfit and spending time with her fiance Eric and their australian shepherd Maya! 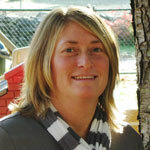 Becca Kelly has taught at Growing Places since 2004. She has her BS in elementary education from Plymouth State College, and has over 20 years of experience in early childhood. Becca lives in Dover with her husband Nick, daughter Allison and their dog Huey. She loves cooking, gardening and spending time with family and friends. Becca loves working with the high caliber of teachers at Growing Places, and also loves the opportunity she has had to really get to know families at the center over the years. 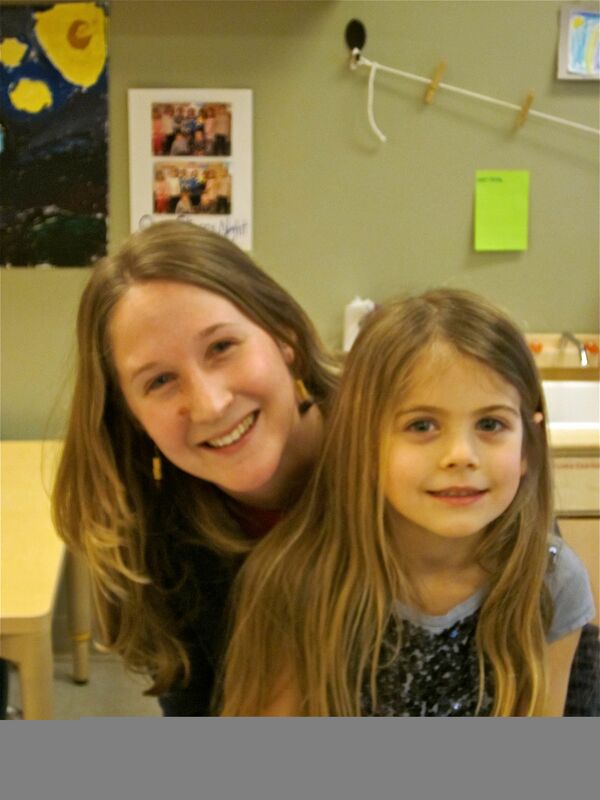 Becca enjoys facilitating outdoor play and sensory experiences for the children, and offers very process oriented art activities in her classroom. She can often be seen snuggling with a child sharing a story book. She loves the rate at which children grow in their young years. She loves watching them explore the world around them.